Learn how to gain personal financial success with income shifting strategies. BHERC spotlights shorts created by female filmmakers of African-American decent (Black Women). It's a Girlfriends GetAway Day! Saturday ~ November 3, 2018 -- 9:30 am until 1:00 p.m.
Martha Taylor Lacroix - Live! Sing along to Aretha Franklin Favorites! Learn from the Expert - LINDA HOLLANDER! A fun, dynamic summer experience! Learn How To Design and Arrange Your Own Floral Arrangements! Learn from the #1 CrowdFunding Expert - DR. LETITIA WRIGHT! Learn how to Network to Increase your Net Worth! Now accepting all ages and abilities! Let Me Show You How to Sit Down A Host and Stand Up A Star! Writers, Producers, Directors, Actors, Execs & Film Lovers -- get your tickets NOW! Meet me in Vegas on the Red Carpet! Fundraiser for ForgottenChildrenInc.com - a faith-based organization that is dedicated to ending human trafficking in our communities. Celebrate the legacy of Martin Luther King, Jr. with this renown dance company. Join us for a Day to Shop, Pamper & Play! WHY IT'S IMPORTANT AND HOW TO GET IT! Have It Your Way ~ GetAway Day! Join us for an afternoon of live jazz, storytelling, socializing and refreshments! Join us in our annual celebration of life and fundraiser for suicide prevention, Here's to Life! The weekend features live music, games, and delicious food! Come learn from performance pros in our Backup Singer Workshop, and showcase your vocal talent in our Karaoke/Open Mic contest with a live band as backup! Our workshops aren't all we have to offer...check back soon for a complete listing of lineups and activities. See you there! Would you like to be Inspired, Informed & Entertained all on one Saturday morning? Want to Write a Book ... But Aren't Sure Where to Start? TWO DATES: Thursday, August 29 & Wednesday, August 30, 2017 This FREE teleseminar will be held LIVE on two different dates so you can choose which fits your schedule - or you can join me for both days! The Perfect Workshop for GenX, Baby Boomers and Small Business Owners! Household Items ~ AND MORE! Join us for a delicious Fish Dinner and LIVE JAZZ featuring JAZZ LIVING LEGENDS SHOWCASE WITH LINDA MORGAN! Our last trip SOLD OUT ... Register early! Jazz Performances by Gifted Young Artists! 5 Must Have Skills to Prosper in the NOW Economy! without the stress of planning! You could win an investment up to $500 and a mentor to help you start or grow your business! Attention Authors, Vendors & Exhibitors! An Opportunity Just For You! Ready to benefit from Home Ownership? Register now -- it's FREE! NORMAN LEWIS LIMO HAS GOT YOU COVERED! Two Powerful Speakers - LC Green and Mr. John Brown! The annual event for African American authors of romance fiction, and the readers who love them! The Most Versatile Speaker / Trainer on The Circuit Today! Nationally Acclaimed Author, Lecturer, Radio & TV Personality! Calibr8 merges cutting-edge science with the ultimate source of wellness - your own body. Join us for the Jazzabrations - Monthly, starting February 26. GIVE THE GIFT OF LASTING LOVE! BINGO ~ MOVIES ~ LITE SNACK ~ RAFFLES ~ GREAT PRIZES ~ LOTS OF FUN!! MOTOWN THE MUSICAL RETURNS TO THE PANTAGES! the songs that still linger! Get tickets here and bring back the memories! We invite you to be his guest for this dynamic play consisting of 60 one-minute plays that will grab your soul and touch your spirit, while exploring our differences and commonalities. Plan for a thought-provoking evening! A BLACK HISTORY CELEBRATION -- An Afternoon of Dance ~ Song ~ Spoken Word ~ Jazz ~ Blues! The Brand Beside The Brand is a new book, keynote & workshop that helps you move past perceived obstacles, diversify your strategies & re-vamp your brand identity for today's marketplace. online sales drive for the next 7 days of my brand new book! Want to make your community great again? 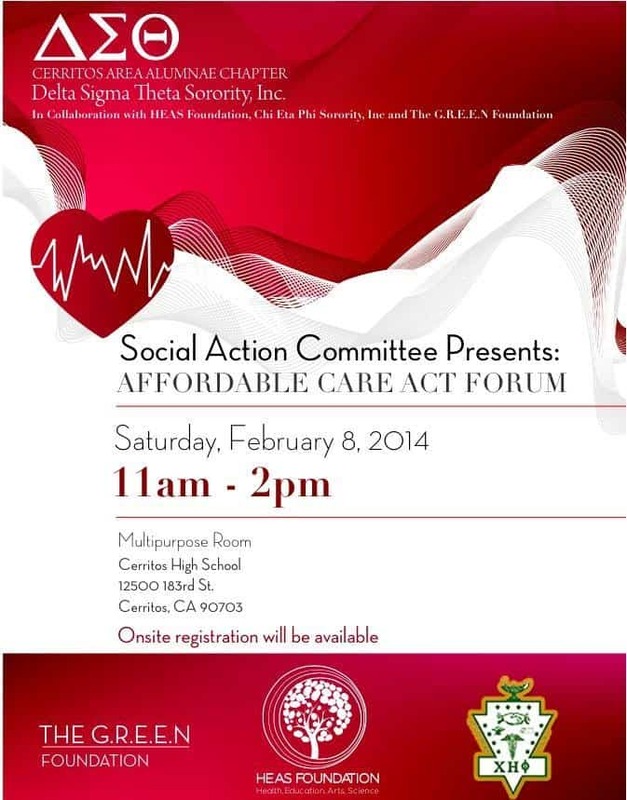 Join Dr. Rosie Milligan, Self-Appointed Mayor of South Central! Are you looking for money to continue doing your good work? 2017 could be your year! It's a Girlfriend's Shop ~ Pamper ~ Play GetAway Day! Live Entertainment! Four Course Dinner! Dancing! AND MORE! One GetAway Day ... Three Magical Locations! The journey begins with a visit to Rideau Vineyards, followed by a luncheon at Petros Restaurant in a Sophisticated, Relaxing Wine Country Atmosphere. After an incredible meal we journey to the "Danish Capital of America" -- Historic Solvang! Register now for this Networking & Career Opportunity Seminar! THOMAS "TJ" LOFTIN'S WEBINAR: Creating Wealth Through Land Development! November 16 Webinar: Real Life Monopoly: Capitalizing on the gentrification and economic boom happening in your area! Handcrafted jewelry and wearable art! Bring card for FREE TOTE BAG! This is the 23rd Hosting of this benchmark Business, Professional and Entrepreneurial Urban Women’s Networking and Empowerment Event. This year we will also honor in memoriam the organizing founder of Black Women’s Network and its first president in 1979 Marva Smith Battle-Bey. Ms. Abbey's 10th Annual Dessert Diva's Tea Party! Pitch your Business Live the MVET Way to thousands of potential customers across the country! Just In Time For Labor Day! Buy at all SMART & FINALS (pre-packaged in 3 lb. tubs). Buy at select ALBERTSONS in the deli - not pre-packaged. See our website or call / email us to see which ALBERTSONS has it. Click here for FREE registration and info! The ONLY Mobile Business Expo Of Its Kind! Click here for FREE registration info! New Orleans Bill Award Winning Salad in the Bay! Fresh off his Southern Cal/Las Vegas supermarket tour, Bill begins his Northern Cal SAFEWAY tour! Come Hop On The Party Bus! It's a GetAway Day to Viejas Casino & Resort! If you are looking for money to grow your business, register for this workshop today. A healthy prevention walk / run for Women of Color to address the health issues, needs, and resources to live a healthier and happier lifestyle. Black symphonists of the past and present. Notification Of Payment Received - LIVE! DO YOU WANT TO GET MORE TRAFFIC, MORE LEADS, MORE SALES? Registration $30 til March 31! CALLING ALL AUTHORS AND BUSINESS OWNERS! A great opportunity for Authors and Business Owners to gain exposure, acquire new customers, make sales! Register early and SAVE! Two Powerful Presentations In Only 2 Hours! For less than the cost of your next floral arrangement, learn to DO IT YOURSELF! You will learn to Select, Prep, Design and Arrange Flowers! Each attendee will design their very own floral arrangement to take home. A Colorful, Fun-Filled & Informative Class! All floral supplies are included in Class Fee. Vendor Spaces Available! FREE Admission! Raffle Prizes! An Afternoon of Dance ~ Song ~ Spoken Word Jazz ~ Blues! ALL THIS FOR $17.25 AND INCLUDES LUNCH! It's A Travel Party! Boomer Spa Girls and All Ladies That Like to Travel, Want To Escape & Save Money! This is the year to make it happen! Don't miss the NEW hit gospel stage production of "Truth, Lies, & Hidden Agendas!" Coming to the University Theater on the campus of CSUDH. EMPOWERING YOU TO AIM ~ ACT ~ ACCOMPLISH! Stop by our Booth #94 and taste New Orleans Bill's Sweet Potato Cookies! The 1,000 Women In White, to be followed by 100 Men In Black, invite you to participate in a historic Nationwide March for Peace, Faith and Family Values that will commence in Los Angeles, California, January 2016. Don't Miss Out on This Empowering Event for Black Women Entrepreneurs, Business Professionals & Creatives. VALUABLE TOPICS: Money, Contact, Strategies and Opportunities. No Cost to Attend. Space is Limited. Reservations Recommended. GET YOUR TICKETS NOW | Nat Turner Following Faith! Riveting and unrelentlessly honest performances at every turn, The Nat Turner Story . . . delivers. Could Coaching Hold The Keys To Your Success? Join The Information Diva and other like-minded entrepreneurs as they explore a new coaching model, Emerging Entrepreneurs Academy™. Choose Your Own Price! Sign up TODAY! Sage Women present "Awards Luncheon and Fashion Show"
"How to Set A Spectacular Holiday Table!" Sit down a host and stand up a star! For info call Linda Patterson 310-774-6537 and ask about the Buy One, Get One Offer! Join us for the "I CAN"
Vision Board Party and Workshop! you know you deserve? Then join us in a fun, exciting and enlightening evening creating your very own VISION BOARD. The Bead Society is celebrating its 40th year of having bazaars at the Culver City Veterans Memorial Auditorium. Admission only $5. Madea is at it again ... and this time she's on the run! Get your tickets now. Group discount available. College opportunities, seminars, celebrity guests, meet one-on-one with colleges from across the country -- and more! For Urban Professionals, Small Business Owners, Entrepreneurs & Community Leaders! Discover How to Fund Your Dreams at the Sponsor Secrets Seminar Live ... You're Just One Sponsor Away from Changing Your Life! Register now -- LEARN TO SPEAK SPANISH ... GUARANTEED! Now Registering for September 14 Session! George Fraser kicks off the first event! Honor your father, husband, brother, uncle or male mentor in grand style! Vendor Opportunities Available! Register by 9/1 and save $10! Special Invitation from LC Green: Tax Offices Opening -- No Experience Necessary! Make Every Vacation A Paycation! Call NOW to learn how you can start your own travel business and take advantage of our August special! Sewing lessons for kids, tweens and teens! Help bring out the creative talent in your child. Call now and schedule an August class ... FREE! Call now and get your first class FREE! Private home near Inglewood Forum; advance registration required. Save Over 25% On Tickets! 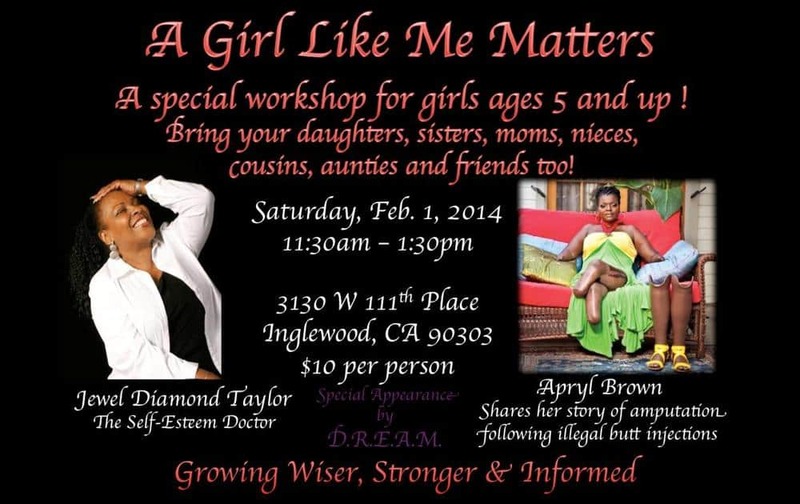 Celebrate a Day of Empowerment with other Amazing Women! Sit down a host and stand up a star! It's a Movement for Peace, Family and Unity! Needed: Bookkeepers, Tax Preparers and Accounting Professionals! Grab the Forks and we'll pop the Corks! Limited Offer! Only $25 per eblast! Purchase four eblasts and GET ONE FREE! Call (310) 498-3783 for info! Buy Now and Use Later -- click here! Learn how to Win at Love without losing yourself! Advance registration required. Click here for Flash Sale info! Join Us As We Celebrate Our 31st Anniversary! SHIDA - A New Musical! ~Star of THE COLOR PURPLE and HAIR on Broadway! Find out how easy it is to join us in Dallas! How To Set A Spectacular Table! Learn to set a "Real Housewives of Beverly Hills" type table! For info call Linda at 310-774-6537. Honor your father, husband, brother, uncle or male mentor on this Fathers Day, June 21, 2015 in grand style! CHRISTMAS IN JUNE BOUTIQUE-WIDE SALE! Join us for a Fantastic Shopping Experience! Join Wine Noir to Toast the 150th Anniversary of Juneteenth! Meet Former NFL Player, Jerone L. Davison for "An Evening Of Empowerment & Healing"
You Won't Want To Miss This Event!! For discount tickets, use promo code "MUSIC"
Jordyn Jackson and Miles Johnsonets, use promo code "MUSIC"
Diamond Derby - A Fabulous & Fun Day at the Races! Girlfriends Night OR Day Out! For more info call Vernon Yancy, Esq. and request the SoldOut Discount! Denny's "On the Crenshaw Strip"
Presented by JABB Productions, Inc.
We're counting down to the New Year by giving you 3 Days of Private Sales! We are taking 25% - 50% off selected items throughout the boutique today, Tuesday, and Wednesday! Register Here & Enter Promo Code BOOMA for Discount! Shop With Us! Christian Tees and More! Black Friday Discounts -- All Month Long! What's Taking Place At Holiday Magic? Get on the Bus for a Wine Tour to Los Olivos and Solvang! Join Zuri Wine Tasting for our last tour of the year. This "Get on the Bus" package includes: Round Trip Transportation, Continental Breakfast with mimosas, Tasting guide and special discounts. Click here for reservation and information! Order at Click here for tickets! Rhythm City Tours of L.A. featuring J. Boykin! This tour, presented by JABB Pro, will highlight local artists who are on the rise to become one of the nation's hottest new artists. September 6-7 * TWO DAYS! Climb aboard the famed Zuri Wine Bus for a fun, worry-free trip to Huntington Beach Central Park, where you'll enjoy reserved lawn seating for the BB Jazz Festival. Click here for info! "I Just Want To Write!" SPECIAL APPEARANCE BY ERIC BENET! Summer Break Summer Love Tour! Presented by Black Women Matter, Inc.
Start the Publishing Process for $199 in July! Submit your manuscript and order whatever services you need. Get it started for $199. We are our own bosses. Contact me for business and product specials! Smooth Sounds and Great Food! "How To Set A Spectacular Table"
Learn to Think..Shop..& Decorate Like A Pro! Enjoy an Evening of Love, Wine, Cheese & Chocolates at The Attic Theatre! Shuffle Along: The Journey of the Black Actor on the Musical Stage! It's A Game Changer: Dr. Michael C. Grayson's Financial Revolution! Diamond Derby - A Day At The Races! Take Your Mom to Paris with IE Divas Connect! Thursday, May 8 for EXCLUSIVE Insider Secrets! New Works ... New Music ... New Dancers ... New Ideas! Tickets available online - CLICK HERE! George Fraser Returns to L.A. Enjoy an Evening of Love, Wine, Cheese & Chocolates at the Historic Vision Theatre in Leimert Park! Jennifer D. Vassel presents "My Channeled Energy"
Now available on Kindle! Download March 12 and pay only .... .99! The 411 Cafe' Business/Social Network Mixer! People getting together, networking, sharing and meeting new friends! Attention Jobseekers! Be sure to upload your resume early to be reviewed by top national companies, looking to hire YOU! Participating Companies Include: Starbucks Coffee, Disney, Edward Jones, and many more! REGISTER EARLY TO RESERVE SEAT! Girfriends Night OR Day Out! An Evening With GEORGE FRASER and Friends! "A Girl Like Me Matters"
Fine Quality Items ~ 10 to 50% OFF!